​Manchester City's sensational home form in 2019 has been powerfully illustrated with a statistic showing the club have a 35-2 aggregate score over opponents faced at the Etihad Stadium so far this year. Pep Guardiola's side may not be running away with the Premier League title this season - they're locked in an epic three-way battle with Liverpool and Tottenham Hotspur - but they've started 2019 in prolific form, turning the Etihad into a truly formidable fortress. Most recently, Pep Guardiola's side treated their home fans to a 6-0 win over Chelsea on Sunday. As noted by football stats Twitter account Opta Joe, ​City have built up a stunning record at home in the new year, accumulating an eye-catching 35-2 aggregate score over visitors to their stadium in just seven matches. Highlights of this run have included a 2-1 win over ​Liverpool, the aforementioned ​shellacking of the Blues, and a casual 9-0 thumping of Burton Albion. If Guardiola's gang can keep up their relentless home form, they'll be certain to have a great chance of retaining their title, as the race to top the table continues to delight fans and neutrals alike. ​Sergio Agüero's form has been particularly impressive in recent weeks, and he has scored 10 goals this year already - including two hat-tricks against ​Arsenal and ​Chelsea respectively. 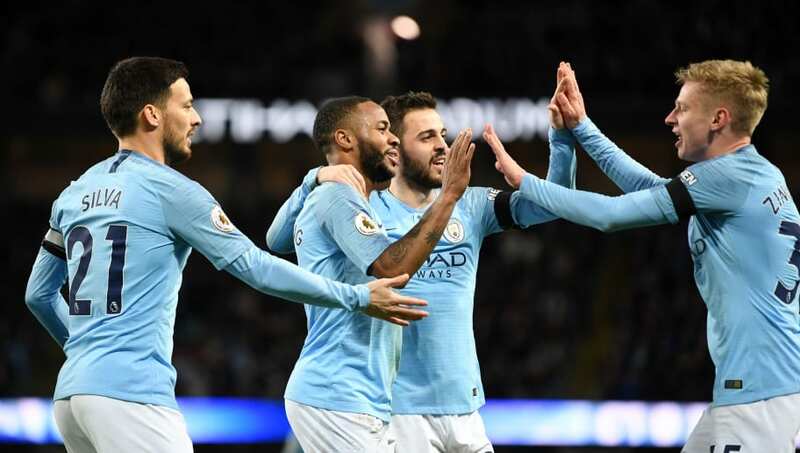 Raheem Sterling, Fernandinho and Leroy Sané have also wowed the Citizens fans, putting in performances of the highest calibre on a weekly basis. Meanwhile, ​Guardiola has insisted that he's feeling no pressure to win the title this season, following the emphatic win over Chelsea. The Catalan coach praised his side's relentless desire to succeed, and also claimed that Liverpool's rich history of winning silverware made topping the table an even more impressive feat.